At Sheffield, we are often asked about our company name and where it came from. The short answer is that Sheffield Pharmaceuticals was named after its founder, Dr. Washington Wentworth Sheffield. Dr. Sheffield wasn’t just any old entrepreneur—he was a scientist, a dentist, an inventor, and many other things. 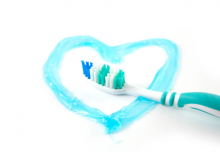 Did you know that Dr. Sheffield was the father of modern toothpaste, and was the first one to put toothpaste in a tube? 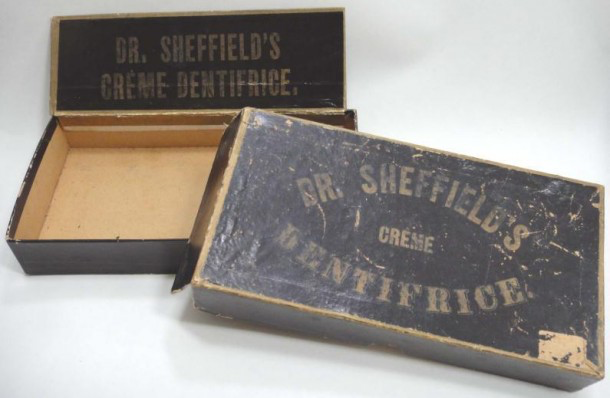 The invention of toothpaste and its packaging in a tube are arguably Dr. Sheffield’s greatest professional accomplishments, and certainly his most significant contribution to dentistry. So how did a small-town dentist end up developing one of the most important inventions to date? To hear the Sheffield story, read on below. In 1827, Dr. Washington Sheffield was born in North Stonington, a sleepy town on the Southeastern Connecticut coastline. After attending North Stonington Public Schools, he began his training in dentistry by working as an apprentice under Dr. J.A. G. Comstock in New London, Connecticut. He continued his training in New York City, and then moved back to New London—where Sheffield is still headquartered to this day—to set up shop in April of 1852. Dr. Sheffield graduated from the Ohio College of Dental Surgery (the first ever dental school in the United States! ), and quickly gained recognition as one of the most successful dental surgeons in the United States. In addition to these accomplishments, Dr. Sheffield received a naval commission from President Andrew Johnson as a dental surgeon in 1866. An excellent student, skilled dental surgeon, and decorated professional—Sheffield was a man of many talents! Dr. Sheffield’s first innovation was a delicious, effective, and innovative tooth crème. His patients couldn’t get enough of this unique crème he used in his dental Practice. 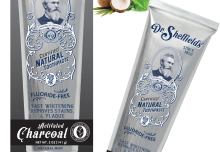 Dr. Sheffield gladly obliged, crafting and packaging batches of this special toothpaste in his New London-based dental offices starting in the early 1870’s. Soon thereafter, his son, Lucius T. Sheffield, would complete his studies at Harvard Medical School and proceed to help his father in ways no one could have imagined. In 1879, Lucius traveled to Paris to study dental surgery; during this time, he noticed that local painters were utilizing collapsible tubes to squeeze the paint onto their palettes. 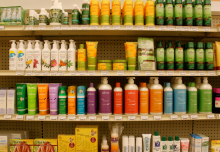 He shared this information with his father, positing that he could put his tooth crème into such tubes and introduce a revolutionary, more sanitary toothpaste product to the world. 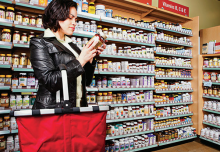 Up until this point, the widely-accepted norm was to use jars of tooth powder—A person was supposed to pour some tooth powder into the palm of their hand, wet the toothbrush and make a paste in their palm then brush but people found it easier to wet their toothbrush and plunge it into the jar of powder leaving a hardened mess in the jar over time. Creating a pre-made paste was a big advancement and placing the paste in a collapsible tube, argued Lucius, would make tooth brushing much more hygienic and convenient—and he was right. In 1881, after revolutionizing the dental industry together, Dr. Sheffield and his son trademarked the first toothpaste to be sold in the United States. In April of 1880, they built a laboratory and manufacturing facility behind Dr. Sheffield’s home in New London. Today, in 2017, Sheffield Pharmaceuticals still proudly calls New London home, and we pride ourselves on carrying on the legacy of The Doctors Sheffield by creating local jobs and producing high-quality products. We’re proud of the story behind our name, and we’re thrilled to continue providing our community—and the world—with only the best.